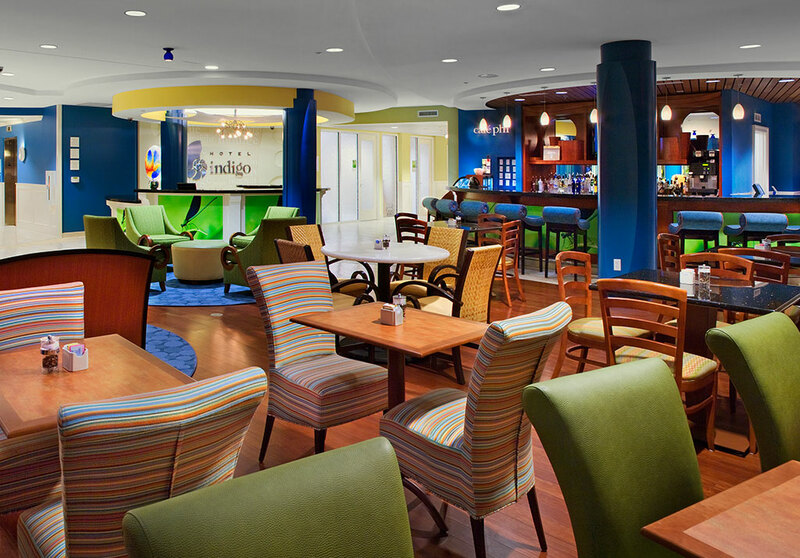 Hotel Indigo - PRIME AE Group, Inc. 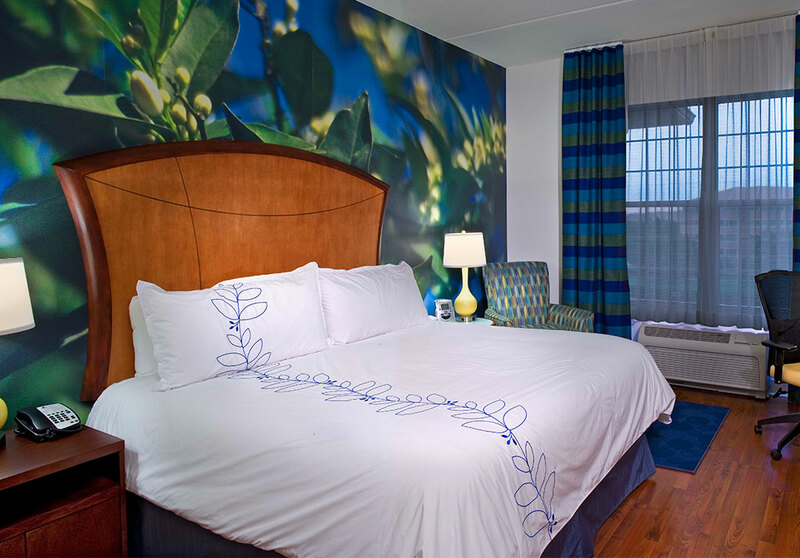 The current brand philosophies from the InterContinental Hotel Group were integrated into the existing design of Hotel Indigo and included a unique “Neighborhood Story” which became the guiding design direction to connect guests to the area and its distinct historical character. 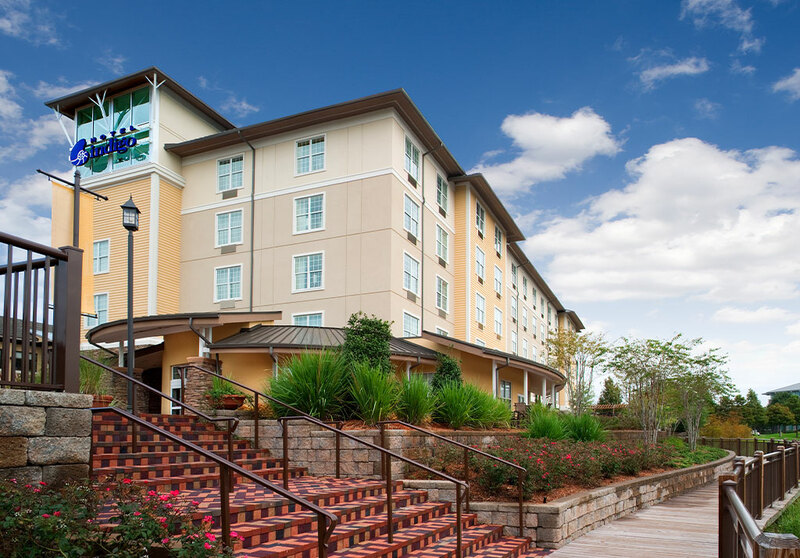 This creative refresh of this hotel included images, motifs, and a design theme focus from Jacksonville’s historic Silent Film Industry and Modern Prairie School Architecture. 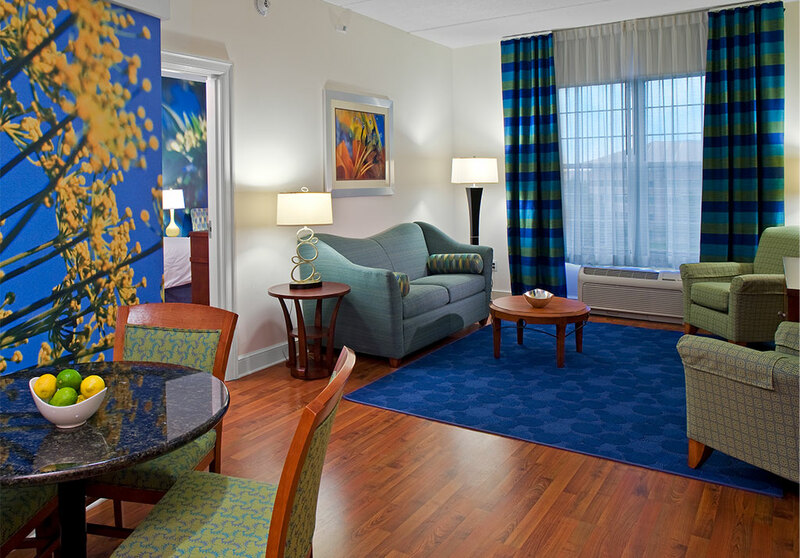 New custom color schemes for this renewal project provide the public areas and guestrooms with a fresh design. This soft renovation included replacement of finishes, furnishings, accessories, and artwork.